​​​​Cosmetic tattooing involves using natural colours, placed more superficially to create a softer less permanent enhancement. Cosmetic tattooing is commonly referred to as permanent makeup. However, the pigments fade over time and reapplication is required to maintain the permanent makeup look. 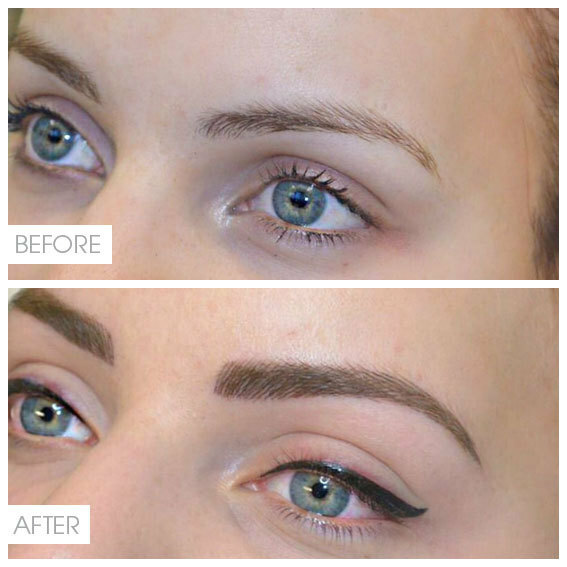 Cosmetic tattooing you can achieve simply naturally beautiful eyebrows that are low maintenance and hassle-free. Eyebrows are an enormously important feature on your face. Well-shaped eyebrows make an enormous difference in the impression you create on people. Well-defined brows, frame the eyes, can help create beauty, drama or youthfulness.